The final round of NASCAR’s “Chase for the Championship” is officially upon us. Eight drivers have been cut to only four. In anticipation of the season’s final race, the Ford Ecoboost 400, ESPN will follow all four contenders—Denny Hamlin, Kevin Harvick, Ryan Newman, and Joey Logano—all week. ESPN will have reporters with each team—Dave Burns with Joey Logano, Marty Smith with Kevin Harvick, Ryan McGee with Denny Hamlin, and Mike Massaro with Ryan Newman –early this week. And SportsCenter will air multiple live reports from the shops of each of the contenders’ teams Monday and Tuesday. They will air between 9:30am and 2:00pm ET. 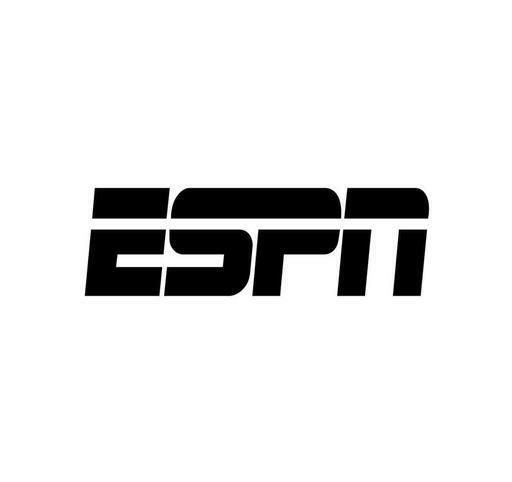 ESPN will offer extended coverage on each team and their preparations during the 6pm and 11pm editions of SportsCenter. On Wednesday, there will be a press conference live from Miami featuring all four of the championship contenders and their team owners. SportsCenter will have interviews and reports from the day’s events. On Thursday, ESPN will head back to the shops with the championship contenders. ESPN’s reporters will follow the drivers’ pre-race preparations before things pick back up on track this Friday. Sunday’s season-ending race will be broadcast live on ESPN. It will be preceded by a special two-hour edition of NASCAR Countdown beginning at 1pm ET. The green flag is expected to fly at 3:16pm ET. All four of the championship contenders will appear on Countdown from the ESPN Pit Studio. ESPN NASCAR analyst Ricky Craven will be on SportsCenter frequently throughout the race weekend with insight into the race and the championship contenders. He will also have an interview with the newly crowned champion after the race Sunday night. None of the four final drivers in this year’s championship hunt have won a championship at NASCAR’s top level before. All four come from multi-car race teams. And they each represent one of NASCAR’s car makers—Ford, Chevy, Toyota. The weather is cold across much of the country. But don’t tell organizers of the annual Summer concert festival series. Details for the annual Monster Energy Carolina Rebellion Festival have been made official. This year’s Carolina Rebellion Festival—the third of four events that comprise “The 2014 World’s Loudest Month–will be held at the Charlotte Motor Speedway on Saturday and Sunday, May 3rd and 4th. Avenged Sevenfold and Kid Rock will share headlining duties at this year’s festival. They will be joined by Rob Zombie, Five Rob ZomFinger Death Punch, 311, Motorhead, Staind, Seether, Volbeat and more. Avenged Sevenfold (also known by its fans as AX7) also performed at last year’s inaugural Carolina Rebellion Festival, which sold out. The current performance schedule for this year’s festival is listed below. Tickets for the 2014 edition of the Carolina Rebellion Festival go on sale this Friday, January 31st at 10am ET. This includes Camping, Hotel, VIP Packages, and Weekend 4-packs and upgrades. All camping and hotel packages include access to the Friday Night Campground Party. Active military members can purchase tickets once again at a discount. More information for all ticketing, including military discounts, is available online at http://www.CarolinaRebellion.com. ESPN is sure to have quite a lot of eyes this weekend as it steps up its coverage of NASCAR. NASCAR’s Sprint Cup Series enters the first round of its “second season” this weekend. NASCAR’s legions of fans are sure to be watching especially after the controversy of last week’s race at Richmond International Raceway. It was in that race that Clint Bowyer, driver of MWR’s #15 Toyota Camry was alleged to have intentionally spun out so as to help his team mate, Martin Truex, Jr. get into the “Chase for the NASCAR Sprint Cup.” That wasn’t the only controversy of the night. It was alleged also that Roush Racing driver Carl Edwards jumped the start with three laps to go coming off of a late caution, leading to his controversial win. These storylines alone are sure to generate some interest as ESPN steps up its coverage beginning this weekend in the first of the Chase’s ten race “post season.” Round One takes the NASCAR Sprint Cup Series to Chicagoland Speedway this weekend for the Geico 400. Just as it did with its broadcasts of the Izod IndyCar Series, ESPN will carry the ten-race postseason with its “NASCAR Nonstop” format. The side-by-side format will start up near the halfway point of each of the season’s final ten races, with the scoring ticker running along the top of the screen throughout commercial breaks. It will allow audiences to keep watching the race without interruption whenever it’s time for a commercial break. ESPN’s NASCAR coverage doesn’t end with coverage of the final ten races. “The Worldwide Leader in Sports” will follow up each race with bonus post-race content on its flagship show, SportsCenter. ESPN NASCAR analyst and former NASCAR driver Ricky Craven will be on hand for SportsCenter’s post-race coverage. He will be joined by Carl Edwards live from each track following each race with the driver’s point of view. And ESPN lead NASCAR reporter Marty Smith will be on-site all weekend along with others for full coverage of each round of the “Chase.” Fans will also get extended coverage of each week’s race on ESPN’s weekend wrap-up show, NASCAR Now. 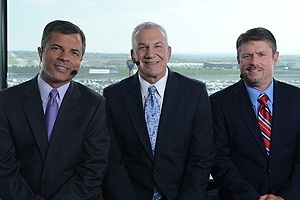 Broadcasts of NASCAR Now will air ach Sunday night after the first nine afternoon “Chase” races. NASCAR Now will also offer NASCAR fans an hour-long “Chase” preview show on Thursday, September 12th at 7pm, along with coverage on ESPN Radio, ESPN Deportes, WatchESPN, and ESPN International. Along with extended and bonus coverage of the “Chase” from ESPN and the ESPN family of networks, ESPN has also enlisted the aid of country superstar Gretchen Wilson for its broadcasts. Wilson will make appearances in the opening broadcast of each of the “Chase’s” final ten races and narrate them. Her music will be featured throughout each broadcast’s track specific opening tease, too. The complete ten-race “Chase for the Sprint Cup Championship” is listed below. More information on ESPN’s broadcast of the “Chase for the Sprint Cup Championship” is available online at http://www.facebook.com/ESPN and http://espn.go.com/racing. For all of the latest sports and entertainment news and reviews, go online to http://www.facebook.com/philspicks and “Like” it. Fans can always keep up with the latest sports and entertainment news and reviews in the Phil’s Picks blog at https://philspicks.wordpress.com.